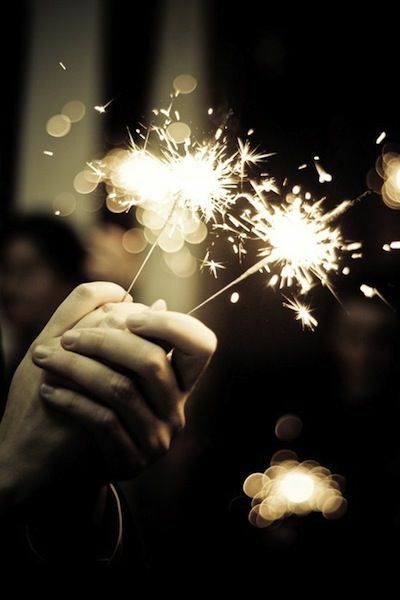 Surely it is no coincidence that when I revisited my early life (as a warm up to doing the past lives regression) the first image I saw was of my sister and I running around our childhood garden in England waving sparklers. These lights always seemed so magical to me, along with fireflies, strings of fairy lights and the stars at night. Now I know the sparks they give off are very similar to how spirits appear to me. When I told my mum I’ve been seeing firefly-like lights since Laura died, she dismissed it as ‘probably just your eyesight.’ But then added she sees them all the time. I guess it runs in the family. I’ve gotten more and more used to the presence of these little lights. It is usually just to the side of my main vision where they pop up. The biggest light show happened last night. I was wondering if I should do a post about how intuition is just intelligence from our higher self. I shut my eyes to think about it and it was as if my head exploded with lights; a whole galaxy of stars lit up inside. I started laughing with amazement. I guess it was thumbs up for that idea.. Yes. Absolutely. Please do more posts about intuition and the higher self. I am sure many of your readers – your blog family – are interested. Your spiritual insights are what makes your blog so unique, so extraordinary, so interesting. own mark on it. yea.